If you already carry a Village England bag, it might surprise you that co-founder Eddie Knevett didn’t start out as a handbag designer. But then he also wasn’t hiding a million miles away from women and their love of leather bags. This former head of accessories at House of Fraser (and previous to that, a buyer for Harrods) knows his eggs when it comes to what we’re all looking for in a perfect bag. 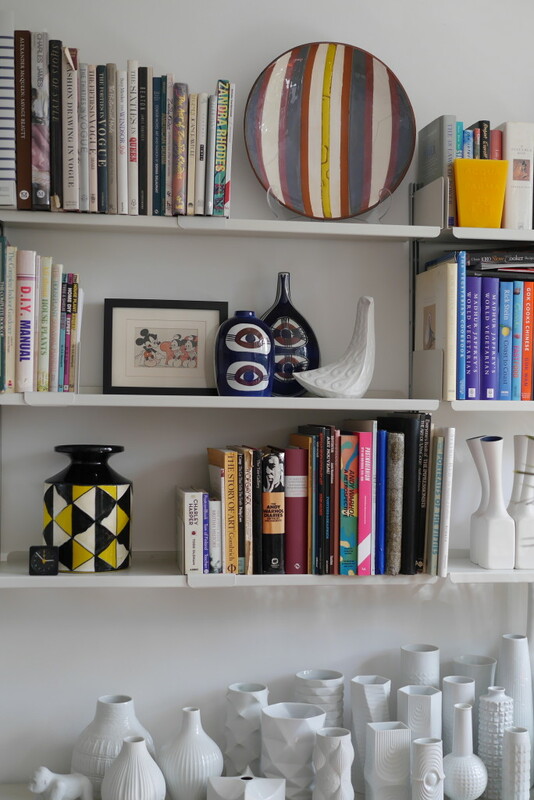 Eddie designs the stunning – yet surprisingly practical – range from his home in leafy Queen’s Park so I dropped by last week to find out what it takes to draw up and plan the new season’s collection. 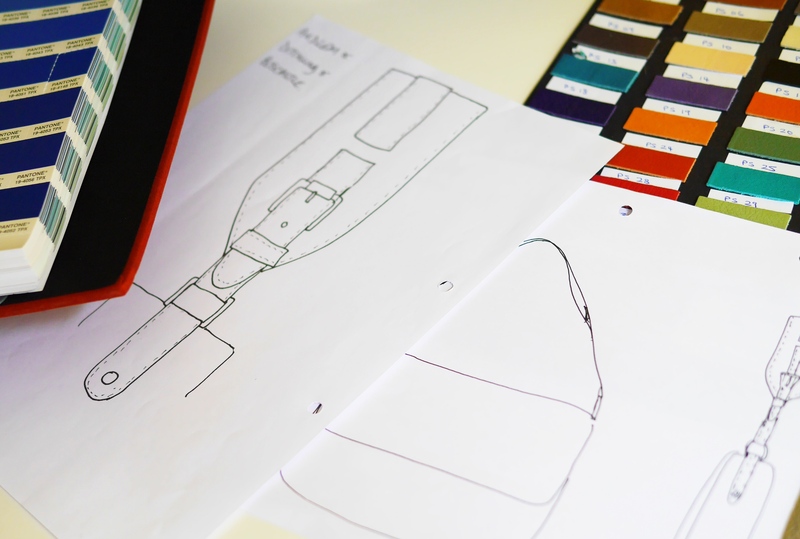 How long does it take to design a handbag from start to finish? About 5 months overall, initial designs/details/thoughts happen over about 4 weeks, leathers are dyed and/or ordered, then sampling process begins. I constantly go back to review/question is it right, does it feel fresh, does it work in real life, are the proportions beautiful, is it the right price. What makes a perfect bag? Versatility, good design, something that you love, works for you everyday and also looks great. 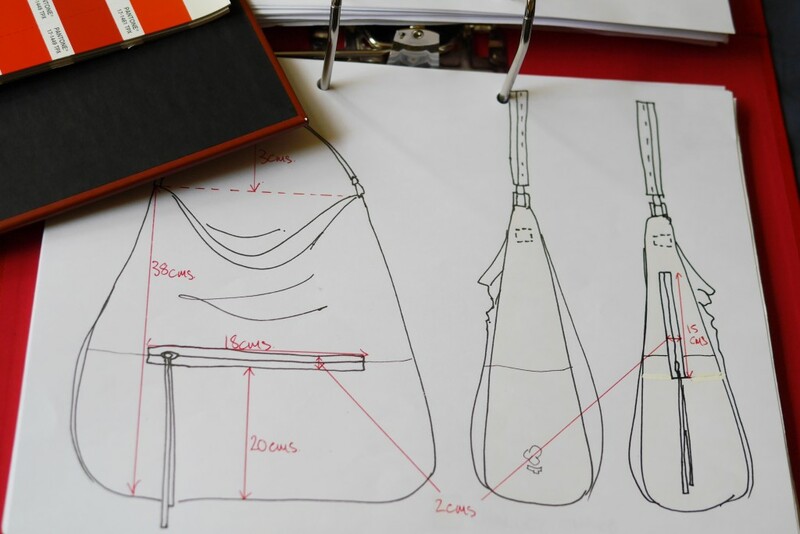 How do you know if a bag designed on paper will hang perfectly? 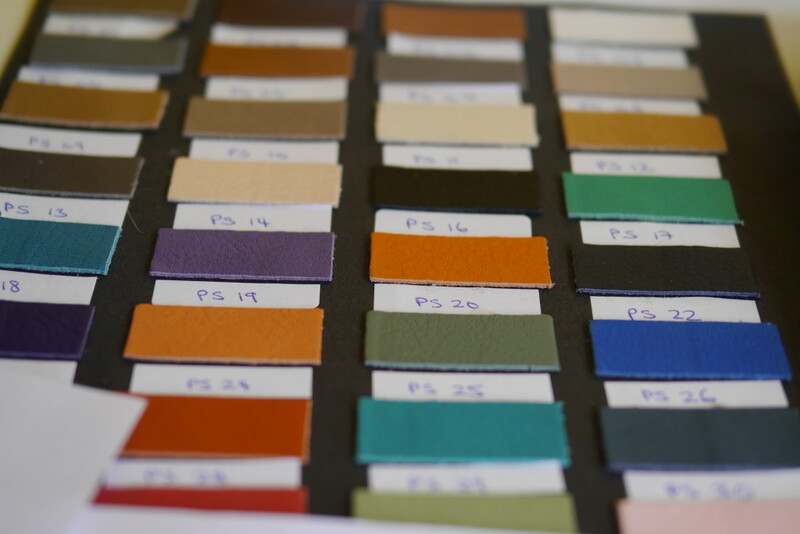 By understanding how leathers work, behave, drape as well as understanding structures and how it will work on a body, as well as experience and practice. And even then they sometimes just don’t work. 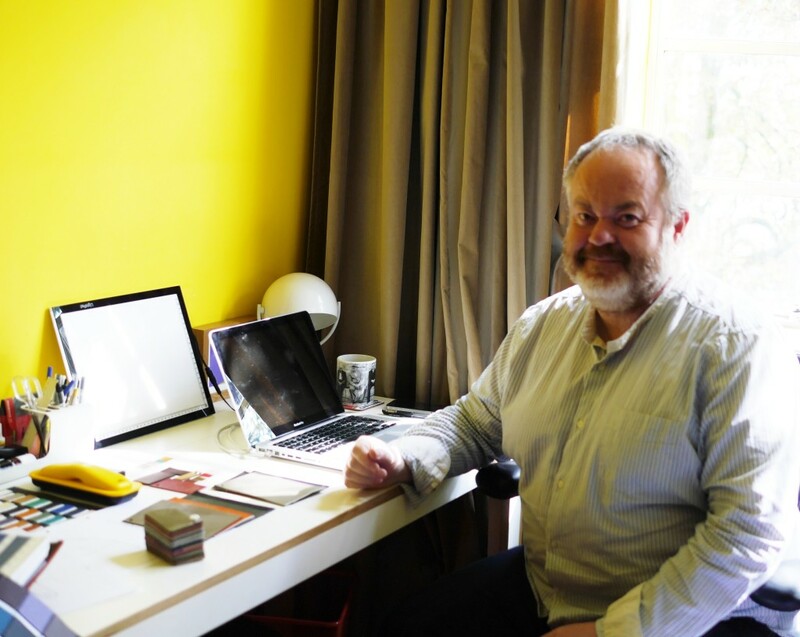 Eddie at his desk (check out his ‘sunny’ painted walls!) 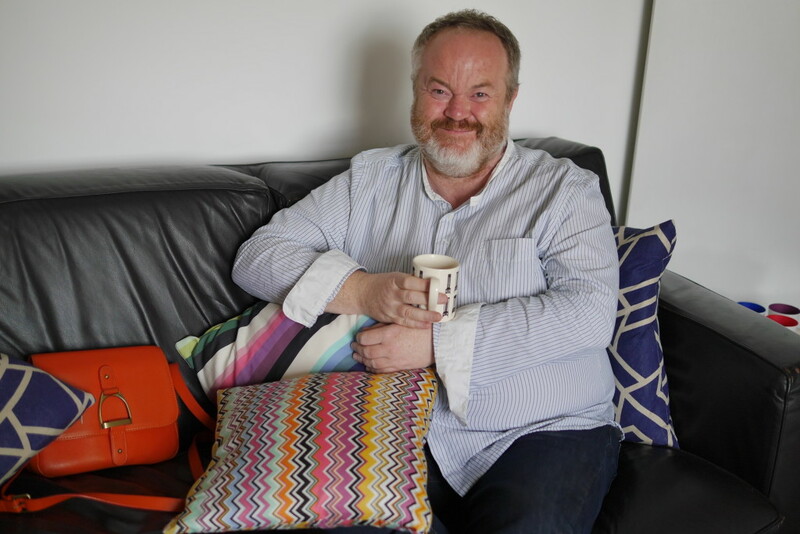 – this man LOVES colour! Where do you find yourself drawing ideas from? Seasonal England, riots of summer colour at Great Dixter garden, autumn leaves at Grasmere, frosted fens on the Wash, equestrian detailing at Burghley, May poles, cakes at village fetes, personal style on the street and feed back from customers and friends on how they use their bags. Why are some designer handbags such a ridiculous price? I think that sometimes people don’t appreciate how much leathers can cost but also it’s the craftsmanship, skill and time involved. I am also personally very worried about the human cost of some working practices. Most elegant woman? Is a woman who is comfortable in her own skin. First job after school? A three week temp job in Harrods, ended up staying 10 years buying accessories. Where do you go to escape life? 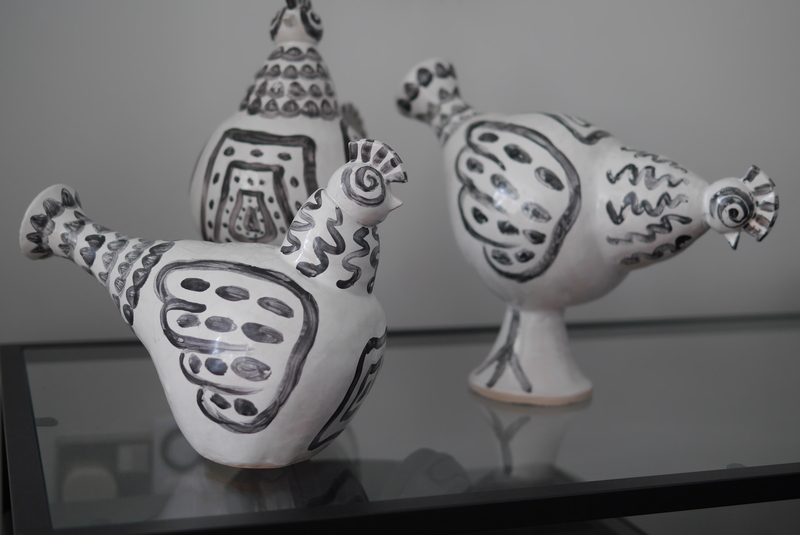 Making ceramics, the world just goes away when you are concentrating on making something with your hands. Or the countryside, I have an urbanite’s romantic view of the great outdoors… fresh air makes me relax. Do you paint? Not any more, form and shape is more interesting to me, hence the love of ceramics. Where would you LOVE Village England to be stocked? USA and Asia here we come! What might we see that’s a bit of a departure for VE in the next year or so? We are broadening our offer on handbag accessories and gifts to bring more fun, colour, texture to the collection. I am also working out our men’s collection concept, though that is very much for the future. How should your handbags accommodate technology? All our bags have leather bound mobile phone pockets, a majority of our bags also have a padded tablet pocket, our bigger bags will take a 11’’ or 13’’ laptop, technology is part everyday life so these pockets are essential. What are your feelings about man bags? I use them daily, I don’t have big enough pockets for all the stuff I carry around! Check out Village England’s range of bags here – or drop into your local House of Fraser or Anthropolgie to try one on!